Le site néolithique de Choirokoitia, occupé du VIIe au IVe millénaire av. J.-C., est l'un des sites préhistoriques les plus importants de la partie orientale de la Méditerranée. Les vestiges retrouvés lors des fouilles ont permis d'en savoir plus sur l'évolution de la société humaine dans cette région si importante à cet égard. Le site n'a été que partiellement fouillé, et constitue donc une réserve archéologique exceptionnelle pour les recherches futures. يُعتبر موقع شويروكويتا الذي يرقى إلى العصر الحجري والمأهول منذ القرن السابع والسادس ق.م أحد أهم المواقع التاريخيّة التي تعود الى العصر الحجري في الجزء الشرقي من المتوسط. ولقد سمحت الآثار التي تمّ اكتشافها أثناء التنقيب بالتعرّف إلى تطوّر المجتمع الإنساني في هذه المنطقة. ولم يتم التنقيب في الموقع إلاّ بصورة جزئية وهو يُشكّل بالتالي خزّاناً تراثيّاًً استثنائيّاًً لأعمال البحث المستقبليّة. Обитаемое с 7-го по 4-е тысячелетия до н.э. поселение периода неолита Хирокития – одно из самых ценных доисторических объектов в Восточном Средиземноморье. Его руины и археологические находки, обнаруженные при раскопках, пролили свет на развитие человеческих сообществ в этом исторически значимом регионе. Поскольку только часть объекта раскопана, он обладает исключительным археологическим потенциалом для будущих исследований. El asentamiento neolí­tico de Choirokoitia, ocupado desde el séptimo hasta el cuarto milenio antes de nuestra era, es uno de los sitios prehistóricos mí¡s importantes del Mediterrí¡neo Oriental. Los vestigios encontrados en las excavaciones han permitido conocer mejor la evolución de la sociedad humana en esta región clave. El sitio, que sólo ha sido excavado en parte, constituye una reserva arqueológica excepcional para futuras investigaciones. In de prehistorische periode speelde Cyprus een belangrijke rol in de cultuuroverdracht van het Nabije Oosten naar de Europese wereld. De archeologische site Choirokhoitia biedt belangrijke wetenschappelijke gegevens gerelateerd aan de verspreiding van de beschaving van Azië naar de mediterrane wereld. De neolithische nederzetting Choirokoitia werd bezet van het 7e tot het 4e millennium voor Christus. De overblijfselen en opgravingen hebben veel duidelijk gemaakt over de evolutie van de menselijke samenleving in deze regio. Choirokoitia werd waarschijnlijk gesticht door mensen uit Anatolië of de Levant en permanente menselijke bewoning begon ongeveer vanaf 7.000 voor Christus. Located in the District of Larnaka, about 6 km from the southern coast of Cyprus, the Neolithic settlement of Choirokoitia lies on the slopes of a hill partly enclosed in a loop of the Maroni River. Occupied from the 7th to the 5th millennium B.C., the village covers an area of approximately 3 ha at its maximum extent and is one of the most important prehistoric sites in the eastern Mediterranean. It represents the Aceramic Neolithic of Cyprus at its peak, that is the success of the first human occupation of the island by farmers coming from the Near East mainland around the beginning of 9th millennium. Excavations have shown that the settlement consisted of circular houses built from mudbrick and stone with flat roofs and that it was protected by successive walls. A complex architectural system providing access to the village has been uncovered on the top of the hill. The achievement of such an impressive construction, built according to a preconceived plan, expresses an important collective effort, with few known parallels in the Near East, and suggests a structured social organisation able to construct and maintain works of a large scale for the common good. A house consisted of several circular buildings equipped with hearths and basins arranged around a small courtyard where domestic activities took place. The houses belonged to the living, as well as to the dead who were buried in pits beneath the rammed earthen floors. Among the finds such as flint tools, bone tools, stone vessels, vegetal and animal remains, noteworthy are the anthropomorphic figurines in stone (one in clay), which point, together with funerary rituals, to the existence of elaborate beliefs. Since only part of the site has been excavated, it forms an exceptional archaeological reserve for future study. Criterion (ii): In the prehistoric period, Cyprus played a key role in the transmission of culture from the Near East to the European world. Criterion (iii): Choirokoitia is an exceptionally well-preserved archaeological site that has provided, and will continue to provide, scientific data of great importance relating to the spread of civilization from Asia to the Mediterranean world. Criterion (iv): Both the excavated remains and the untouched part of Choirokoitia demonstrate clearly the origins of proto-urban settlement in the Mediterranean region and beyond. The excavated site is intact and includes all attributes that express Outstanding Universal Value. A significant part of the settlement’s environs are within the property boundary. The wholeness or intactness of the property is a result of the actions taken by the State to preserve the original condition of the ruins and of the scientific work undertaken by the French archaeological mission of the National Centre for Scientific Research (CNRS), who have been excavating in Choirokoitia since 1976. Conservation works carried out on the site itself are confined to consolidation of the construction materials to ensure the structural safety of the ruins without interfering with the integrity of the site. Electromagnetic survey and excavations conducted on the entire hill by the French archaeological mission have clarified the limits of the built environment, which is delineated by strong enclosure walls. Development pressures on the site are being dealt with through land expropriation and the creation of a buffer zone, which is the Controlled Area surrounding the Neolithic Settlement of Choirokoitia. The key elements of the site consist mostly of the exceptionally well-preserved archaeological remains. These together with excavated artefacts and human remains, truthfully and credibly express the value of the property as the most important Neolithic archaeological site in Cyprus and of exceptional significance in studying and understanding the evolution of human culture in this key area of the eastern Mediterranean. Excavations since the site was discovered have revealed only a small proportion of the total area, constituting the site as a precious archaeological reserve for future generations. Conservation works carried out on the site have been confined to the consolidation of the construction materials. The remains therefore retain their authenticity in terms of form, materials, location and setting. Temporary shelters have been constructed for the protection of the excavated remains. There has been no attempt at reconstruction on site. The reconstruction of five houses and a section of the defence wall have been erected off site, based on excavation evidence to make the site more comprehensible to visitors. The management of the site is under the direct supervision of the Curator of Ancient Monuments and the Director of the Department of Antiquities. 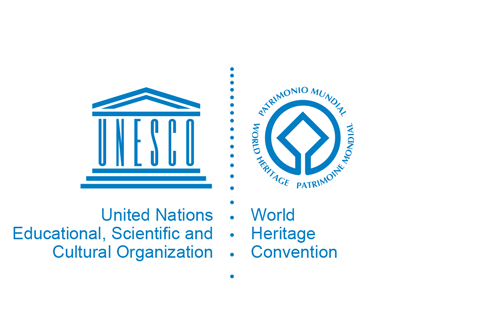 Cultural and archaeological heritage in Cyprus is protected and managed according to the provisions of the national legislation, i.e the Antiquities Law and the International Treaties signed by the Republic of Cyprus. In accordance with the Antiquities Law, Ancient Monuments are categorized as of the First Schedule (governmental ownership) and of the Second Schedule (private ownership). Choirokoitia site is of government property. A large area directly to the west of the site has been listed as an Ancient Monument of the Second Schedule to enable control over development. Thus, listed Ancient Monuments of the Second Schedule are gradually being acquired according to the provisions of section 8 of the Antiquities Law, under which the Director of the Department of Antiquities has the power to reject or modify a project concerning the development of any plot declared as a monument of the Second Schedule. Furthermore, the Law provides, under Section II article 11, for the establishment of “Controlled Areas” within the vicinity of the sites. According to article 11, the Director of the Department of Antiquities controls the height and architectural style of any building proposed for erection within the Controlled Area, in order to safeguard the historic and archaeological character, the amenities and the environment surrounding an Ancient Monument. Choirokoitia Controlled Area will be extended further to the north, east and south of the site to facilitate better control over development pressures. The aim is to protect both the Neolithic settlement, as well as the surrounding natural landscape, which constitutes an integral part of the site. The surrounding area of the site has already been considerably improved by cleaning and tree planting on the riverbanks. Information panels have been provided. The site is open to the public on a daily basis and works have been undertaken to facilitate the visit to the site. The site is adequately funded by the Department of Antiquities from the yearly government budget. A Management Plan has been prepared for Choirokoitia, aimed at the conservation, promotion and preservation of the site’s unique value for future generations, through the production of basic guidelines and policies for all the parties involved. The Plan embraces both physical characteristics of the site and its landscape, as well as its cultural and historical significance. Actions proposed include the improvement of visitor facilities at the site, the development of an emergency evacuation plan, landscaping of the site and the development of educational programmes and activities. Choirokoitia was given enhanced protection status by the Committee for the Protection of Cultural Property in the Event of Armed Conflict in November 2010.